Click on a project to view more photos and learn about the design process, inspiration, and details for some of Kerra Michele’s completed projects. A historic Chevy Chase home is given a full makeover to breathe new life into its old bones for a brand new family of three. This historic home is taken down to the studs to give this vibrant family a gourmet kitchen and playful full home design. Reduced to just four walls, this historic rowhouse was gutted, expanded, and the old was mixed with brand new. 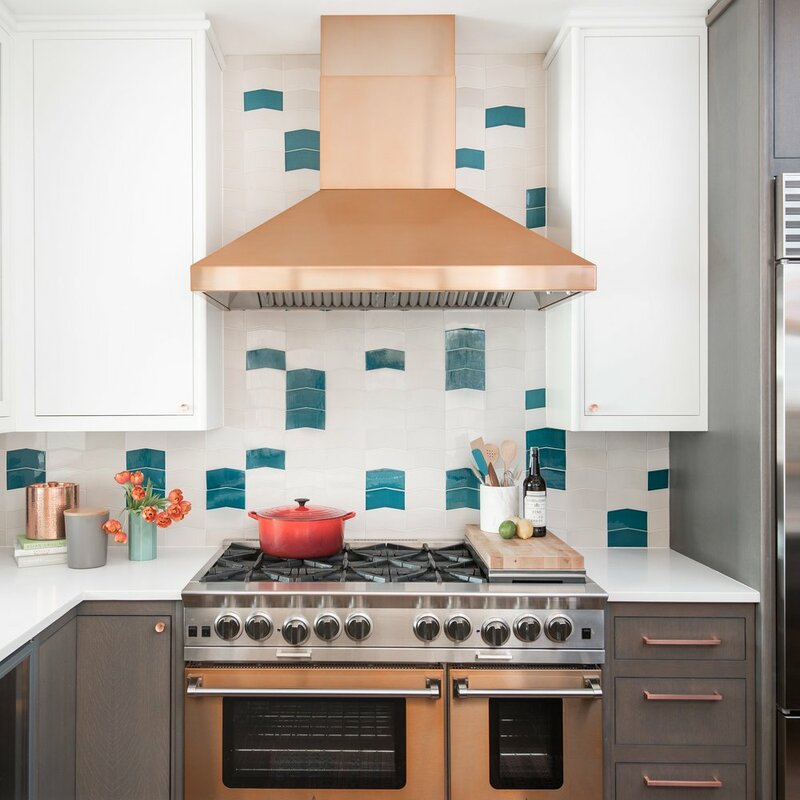 An expectant couple gets a bright and beautiful kitchen and master bathroom makeover for their historic Logan Circle rowhome. Another historic home in Chevy Chase receives an incredible kitchen and master bathroom renovation to match the new aesthetic. A blank canvas in a historic home gets a major infusion of color, pattern, and warmth for a budding new family. This rental apartment has been done and redone multiple times, and it's the space Kerra Michele calls home. This single-family home received an infusion of warmth and individuality, in a few new family-friendly spaces. A couple gets a vibrant home makeover in anticipation of their first child’s arrival with an infusion of bright color and pattern. An awkward floor plan in a historic home gets a bright and colorful update for a modern-day family of four. This century-old rowhouse was taken down to the studs to bring it into the 21st century for it's new owner. Downtown DC meets Puerto Rico in this colorful, modern loft space just blocks away from the Capitol. Closet turns nursery for a couple expecting their first child in a small DC rowhouse, and the result is as whimsical as it is charming. This Victorian rowhouse is home to a vibrant, young power couple with a love for color, and the unexpected. The first iteration of Kerra Michele's rental apartment is what started it all, and you won't believe the transformation. Morocco meets Manhattan! Color is key in this historic Chevy Chase mansion filled with unexpected elements.